Now then, let’s be honest. How many of us actually check and maintain our roof before there’s a problem? As a top firm of builders in Bolton we know how important it is to look after our roofs and as such we always make sure that we check our roofs regularly and keep on top of any routine maintenance jobs – but there again, we would, wouldn’t we! But is it really such a big deal to remember to think about our roofs? Why should you look after your roof? Extend the lifetime of your roof. Save money in the long term by fixing any minor problems before they become major ones. Mitigate the risk of any guarantees becoming invalid; some companies may refuse to honour a guarantee if damage is a result of poor maintenance. Increase the re-sale potential of your home; a properly maintained roof is obvious to the eye and can make your whole house look amazing and give it a sense of quality. How to check and maintain your roof? Keeping an eye on your roof really isn’t that difficult and could save you thousands if you either spot a potential problem early, or even prevent one from happening in the first place! 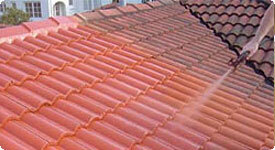 Inspect your roof twice a year (spring and autumn are usually good times to do this). If you can get up there safely then do so, or if not use binoculars, and check for any loose flashing, tiles or anything else that doesn’t look right. Also have a look at your roof from the inside, in the loft, check for any patches of daylight or water damage. Clean your gutters out. Clogged gutters can cause water to be forced back under your tiles causing potentially serious problems. Trim any overhanging branches. These can scratch the surface of your tiles, weakening them and in strong winds can bash against your roof potentially damaging it. What to do if you find a problem? Call Wisecraft Ltd! As award-winning Bolton builders, we have extensive experience in roof maintenance and repair, and can help you to nip any problems in the bud before they get out of hand. And if the worse comes to the worse, then we have specialist expertise in re-roofing to ensure that you end with the best quality roof possible. For any further information or to book and free and no obligation visit to discuss your roofing requirements, contact Wisecraft Ltd today.